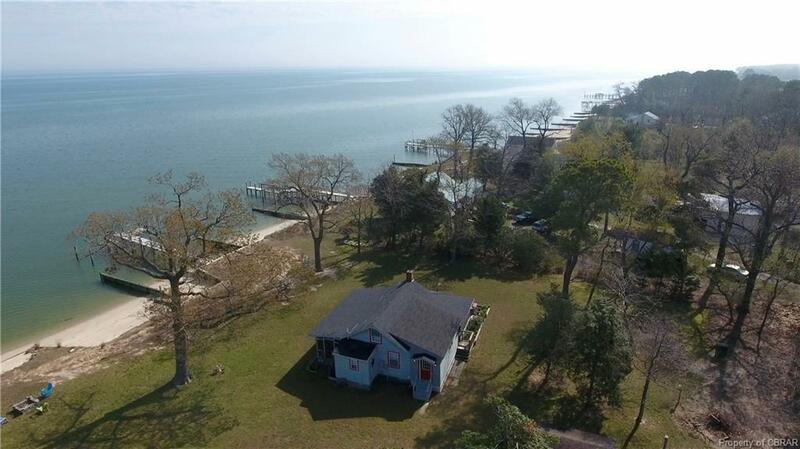 ute waterfront cottage with AMAZING views of the Potomac River right in your backyard. This 3 bedroom 2 full bathroom home has an updated galley style kitchen with white cabinets, stainless steel appliances and recessed lighting. Enjoy warm summer evenings on either of two screened in porches. Relax in the hot tub or sun yourself or fish/crab on the 84' dock equipped with boat/jet ski lifts, water and electricity. Plenty of room along the sandy beach for family, friends and pets to enjoy. The kids will enjoy sleeping in the upper loft that overlooks the great room with dining area. An additional 1 acre lot, directly across the street for parking all your water toys and recreational vehicles. Minutes away to the Chesapeake Bay by boat. Directions: From Burgess, Head West On Route 360. Turn Right On Blundons Road And Right On Hull Neck Road. Turn Left On Seagull Lane. House Is On The Left; Signs Posted.